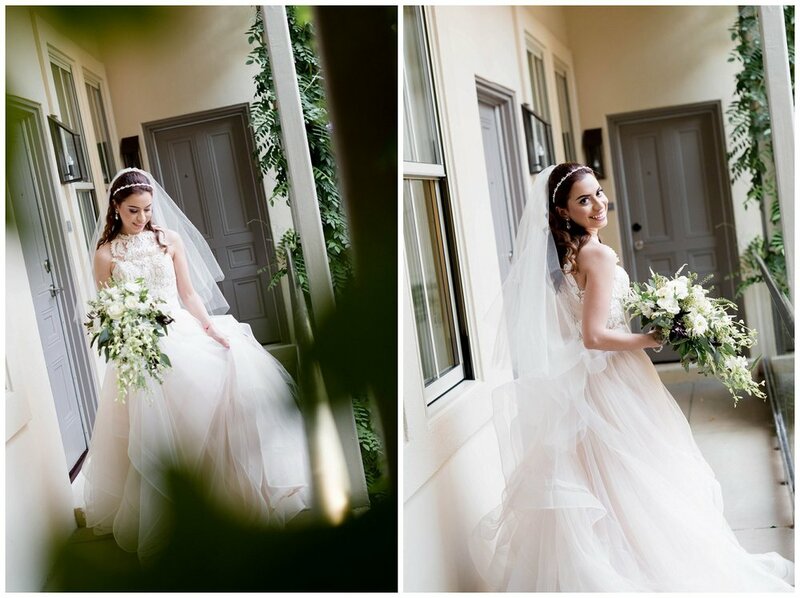 Alejandra and Daniel wanted their wedding to feel like an intimate evening with their closest friends and family. They hosted it at the Morrison Clark Hotel in DC on Columbus Day! Family and friends flew in from all over to spend their special day with them. 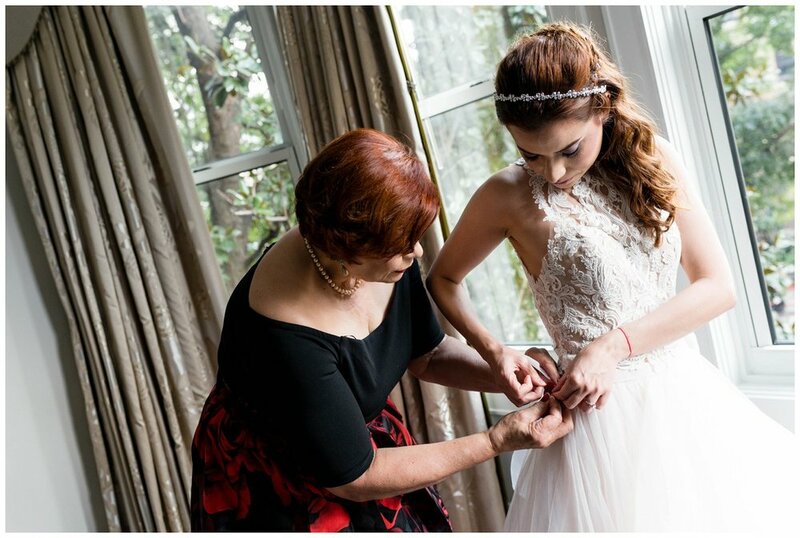 Ale’s mama and closest girlfriends helped her get dressed into her beautiful two-piece BHLDN gown… The lighting in their room was beautiful, overlooking the busy streets of DC. 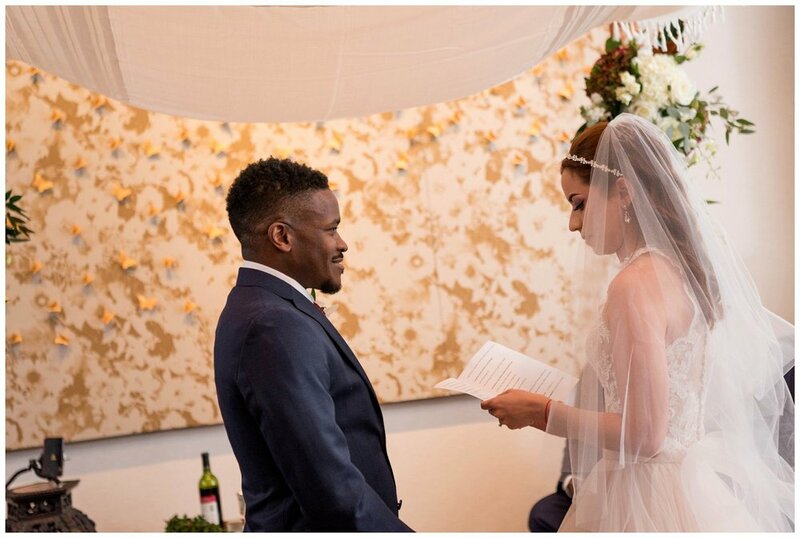 Once she was dressed and the veil was on, there wasn’t a dry eye! Including mine.. She looked so beautiful. 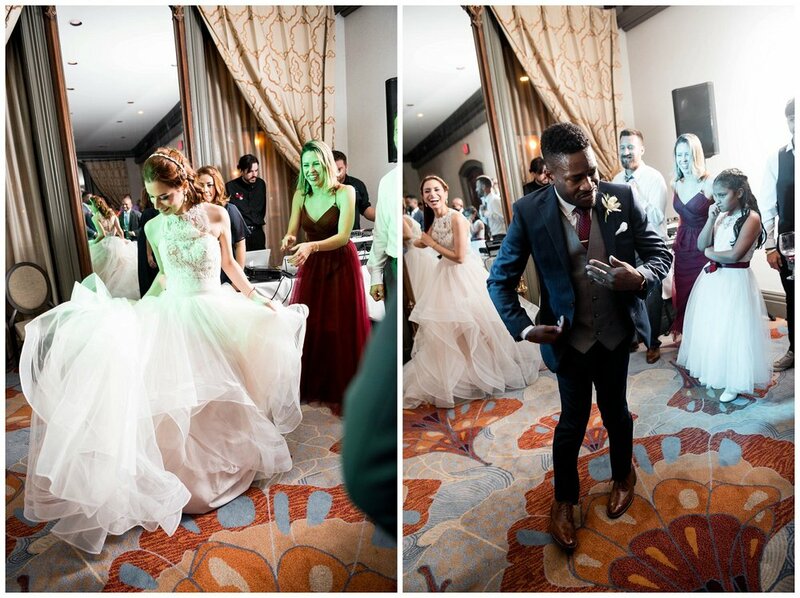 Daniel was so excited to see his bride and he couldn’t stop smiling! It was so sweet… He and the guys were all jokes and laughs… I had so much fun hanging out with them! 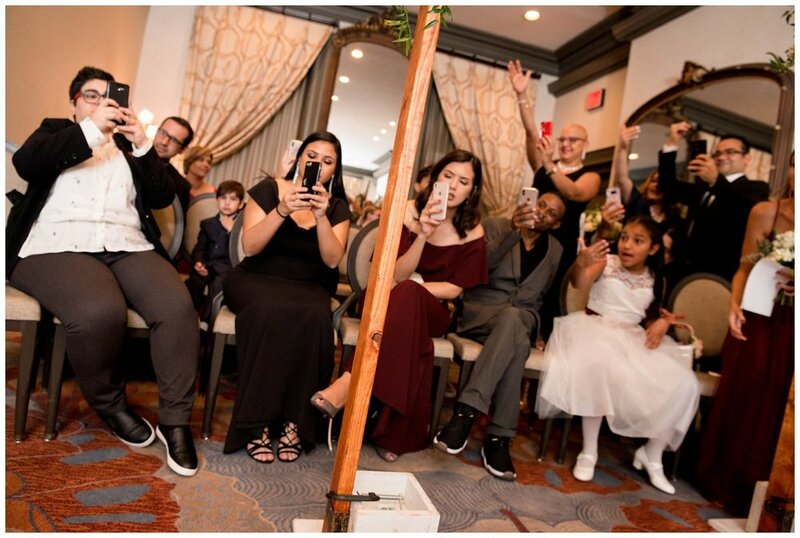 Chairs surrounded both sides of the beautiful Chuppah for their guests, as they waited alongside Daniel, for Alejandra to enter the room… I love this shot of all the cell phones, hehe. According to tradition, she circled Daniel seven times before the ceremony began. That was very special to watch, as tears filled his eyes. 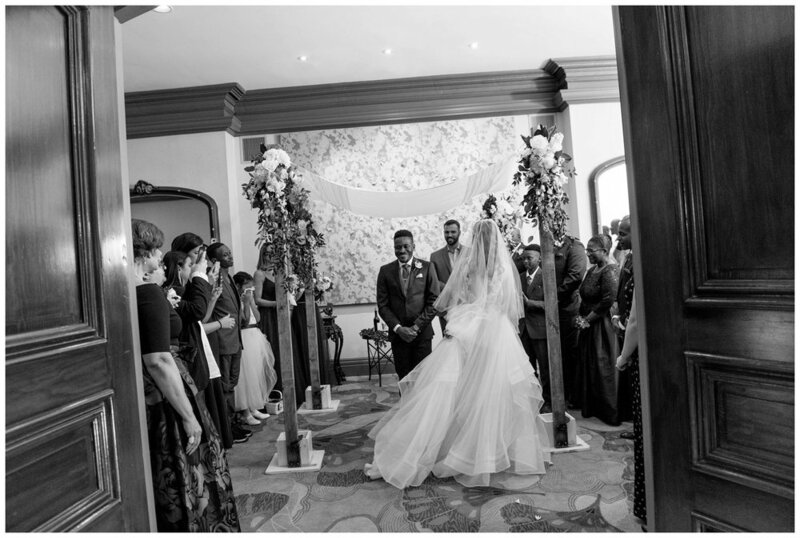 The ceremony room was set for dinner and their guests found their seats for the reception. After a few tender-hearted speeches, dinner, and the cake cutting, the dance floor opened! 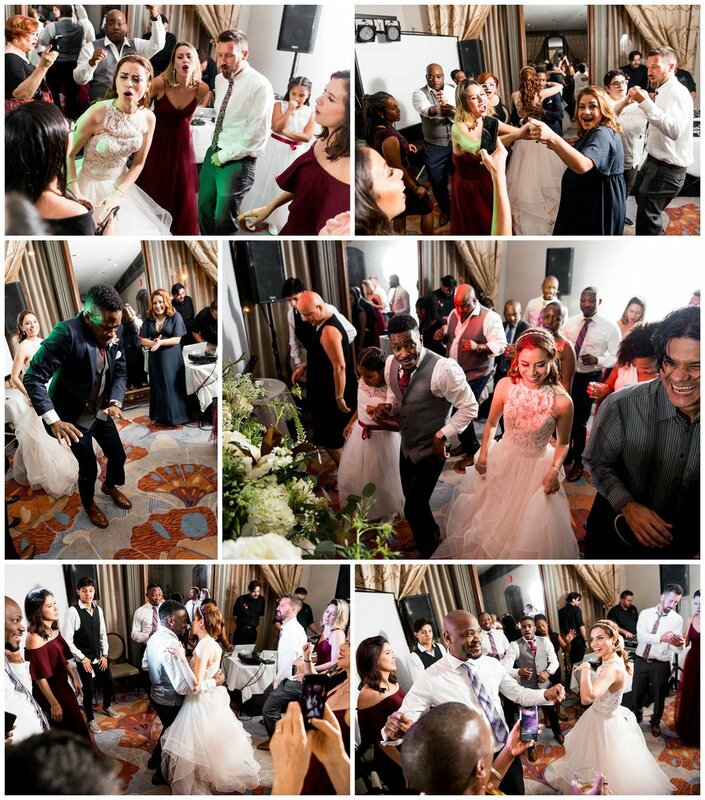 It was so fun to be on the dance floor with everyone because the space was small but the energy was big and the music was amazing! I absolutely loved the vibe and watching everyone have such a great time!